These tasty, crunchy rolls, made with alfalfa and meadow graΒ, combine all the tasty plants and herbs of the meadow into an especially light and gentle treat for your small pet. Made entirely from plants it is well digestible and has a reduced calcium content to prevent the formation of urinary stones. 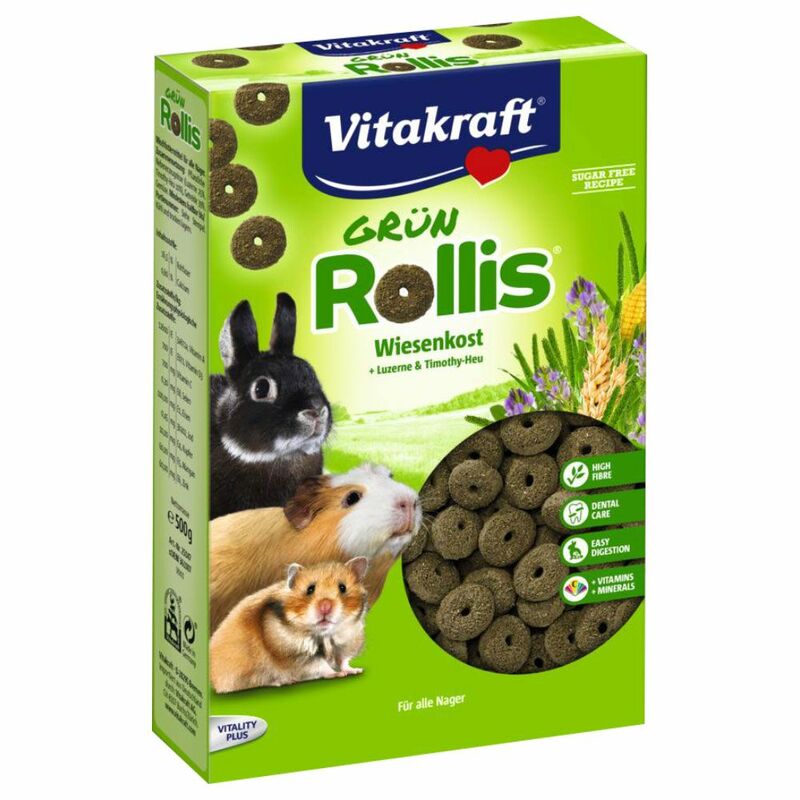 Vitakraft Green Rollis contain all the vital vitamins, minerals and trace elements your small pet needs to provide optimum care. And the high fibre content helps support healthy digestion. They also help to wear down your small pet's constantly growing teeth! These tasty, healthy treats are an ideal supplement for a balanced diet! Vitakraft Green Rollis at a glance: Crunchy rolls for small pets With alfalfa and healthy Timothy hay Made with 100% plant ingredients High crude fibre content Rich in calcium With valuable vitamins and minerals, including an extra boost of vitamin C Sugar-free recipe No artificial flavours, colours or preservatives.